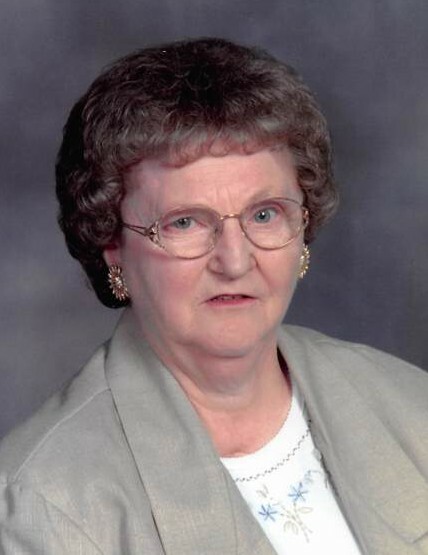 Mariann Whempner, age 82 of Wilmot died April 14, 2018, at Milbank Area Hospital – Avera Health. Mass of Christian Burial will be held on Friday, April 20 at 2:00 p.m. at St. Mary’s Catholic Church in Wilmot. Father Gary DeRouchey will celebrate the Mass and burial will be in the Wilmot City Cemetery. Visitation will be held on Thursday at the church beginning at 5 p.m. followed by a prayer vigil at 7 p.m. Visitation will continue Friday morning, one hour prior to the Mass. Honorary bearers will be her grandchildren and all her friends. Casket bearers will be: Gene Lutt, Eugene Whempner, David Whempner, Vernon Whempner, Jim Hohertz, Jerome Hohertz, Steve Harles, Paul Hamling, and Wayne Harles. Mariann A. (Hamling) Whempner was born on June 11, 1935, in Sisseton, SD. She was the daughter of Henry Hamling Sr. and Theresa Herding. Mariann grew up in Rosholt and graduated from Rosholt High School with the Class of 1953. She continued her education in Aberdeen, SD at Northern State Teacher’s College where she earned her teacher’s certificate. Mariann was united in marriage with Lee Raymond Whempner on June 2, 1959, in Rosholt. Mariann taught school in New Effington for a couple of years. She taught rural school in Spring Grove Township, and in Springdale Township, both in Roberts County. Mariann and Lee were blessed with six children. They raised their family on the farm where Mariann was a hardworking wife and mother. She was willing to help with the farming and always brought lunch to the field. She loved to cook and bake. She made sure she always had enough to feed her family plus the farm hands. She had a huge vegetable garden and enjoyed canning her harvest. She and Lee enjoyed fishing, camping, and spending winters in Texas. Lee died on November 21, 2000. Mariann loved to sew and quilt. She worked sewing quilts for “Dakotah” for several years. She also sewed volumes of quilts at home. She has passed that talent to her daughters and granddaughters, giving away many sewing machines. Her family will cherish the many quilts that she made for them. She liked to sell her garden goods and quilts at farmer’s markets and flea markets. She was “famous” for her super secret recipe for homemade sausage. Even her children were not given the recipe until recently! Left to cherish her memory are her children: Sheila (Christopher) Ficenec of Alexandria, MN; Diane Whempner (Arthur Argo Jr.) of Wilmot, SD; Elaine (Tim) Truelson of Owatonna, MN; Michael Whempner of Wilmot, SD; and Todd (Billi) Whempner of Wilmot, SD; son-in-law, Richard Krempges of Canova, SD; 12 grandchildren: Shelby Whempner, Emmett Whempner, Levi Whempner, Jorja Whempner, Nicole Ficenec, Kyle Ficenec, Melanie (Krempges) Sorensen, Michael Krempges, Bobbi Jo Argo, Tyler Argo, Brayden Truelson, and Noah Truelson; one great-granddaughter, Zayda Nielsen; siblings: Eleanor Harles of Lidgerwood, ND; Dorothy Neuberger of Eden, SD; Margaret Smaldone of Hermosa Beach, CA; Darlene Halseth of Riverdale, ND; and Dennis Hamling of Rosholt, SD. Mariann was preceded in death by her parents, Henry and Theresa; husband, Lee; daughter, Lori; grandson, Darin; siblings: Delores Harles, Tony Hamling, Henry Hamling, and Raymond Hamling.